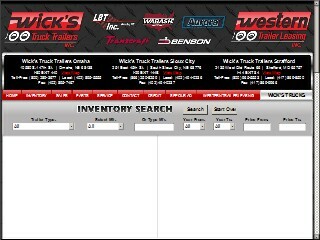 Description: Wick's Sterling Trucks Inc is a business categorized under truck-dealers, which is part of the larger category motor vehicle dealers-new & used. Wick's Sterling Trucks Inc is located at the address 10502 S 147th St in Omaha, Nebraska 68138-3805. The Owner is Gale Wickersham who can be contacted at (402)891-9200. Location & access map for "Wick's Sterling Trucks Inc"